Rental rates for campus housing are affordable and competitive. Billing your rent and utilities to your student account once per quarter leaves more time to focus on academics. Rental contract dates align with the academic year. Your rent stays the same even if someone moves out of your unit. Live more simply without dividing multiple bills among roommates or hassling with commuting to campus. **Super Singles are extra large rooms and are limited in number. 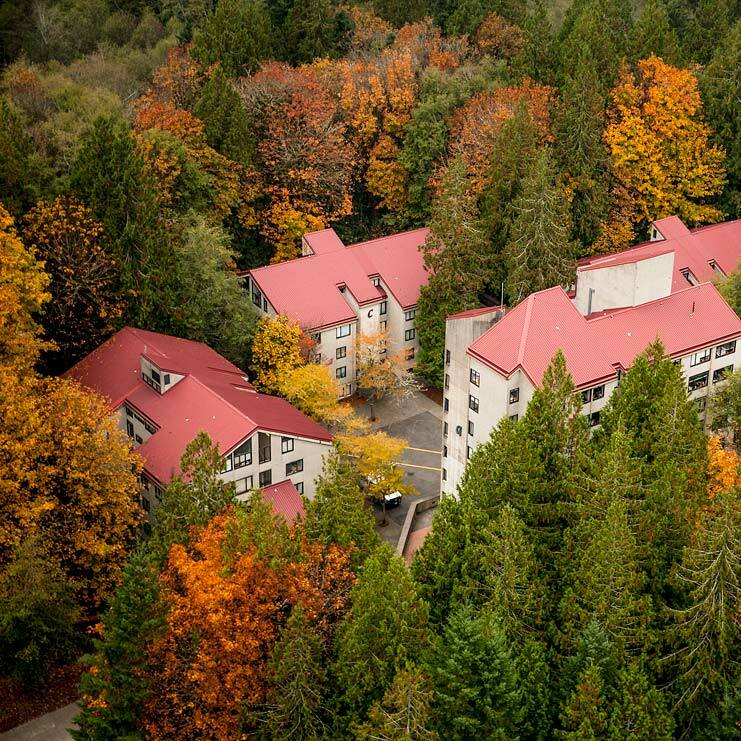 *2019 – 20 rates tentative, pending final approval by Evergreen Board of Trustees at their spring meeting. Rent for the quarter is due in full on the same date tuition is due. Rates are per student and include furnishings, utilities, Internet, and amenities; basically everything you need except for food. A dining plan rate is not included in the table above. Dining plans are required for all residents. Apartment residents must purchase at least a $250/quarter Dining Bucks plan that can be used that can be used at any dining service location on campus including the POD Market in the HCC. New students in the Residence Halls must purchase at least a $1268/fall quarter ($1169 in the shorter winter and spring quarters) Weekly 10 meal plan. 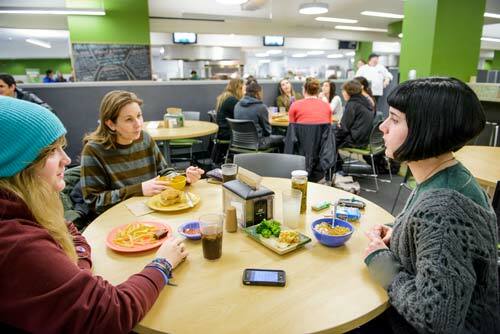 Returning housing residents in the Residence Halls must purchase at least a $563/quarter RAD Rewards meal plan. Learn about how dining plans work or see costs for residents required to purchase a plan.